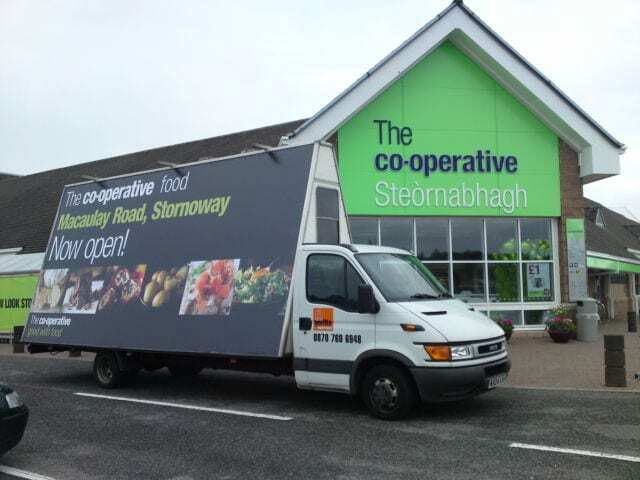 One of the very first clients back in 2001, Cooperative Food utilised Gorilla advertising vans (AdVans) and advertising bikes (AdBikes) to promote over 120 store re-brands and refits of Sommerfeld convenience stores over a 2-year period. These events have been staged at locations across the entire length of the UK – literally Lands End to John O’Groats and even offshore territories including the Isle of Wight, the Isle of Lewis and Northern Ireland. Many of these stores are in remote areas where OOH (Out Of Home) is just not an option and mainstream broadcast or print medium deliver too much wastage.